A South Bay man recognized in Forbes' '30 Under 30 list' is behind the popular and growing Indian-fusion street food hitting cities around the Bay Area. From Naughty Naan to Curry Up Now's signature tikka masala burrito, you wouldn't find co-founder Amir Hosseini's creations at most traditional Indian restaurants. "What’s different about the Bay Area is the acceptance towards creativity," Hosseini said. His originality — as well as a killer team according to Hosseini — has won him praise from fans that continue chowing down at his expanding chain of restaurants. "We might be opening one to two… to three more," he said with a smile. "It’s fun watching it grow. It’s exciting." But getting to this point wasn't always that easy. The idea of starting just a single food truck came up in conversation over lunch with his former boss, Akash Kapoor, just eight years ago. Then 22-year-old Hosseini was a salesperson for a mortgage lender – with no culinary experience. "That was like a lifetime ago," Hosseini recalls. "Two weeks later, we drove 120 miles to go pick up this truck not having any food experience or any idea of what to do." Fondly speaking of 18 to 19-hour days, the young restaurateur laughs about his early days starting up the Indian-fusion chain with Kapoor. "There's no money, obviously in the first year, and you’re just trying to figure out how to make it work." However, taking that leap of faith eventually had a big payoff. "I basically know all of San Francisco," Hosseini said. "From day one, I was always in this little food truck driving around and going from city to city, [but] my day-to-day now is very different than when I started this company." Hosseini now spends a lot less time behind the wheel and much more time on his computer. 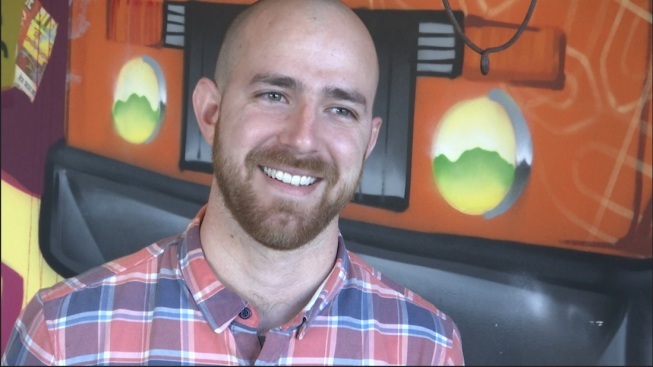 His original food truck has expanded to include several trucks driving around San Francisco, as well as restaurants in downtown San Mateo, Palo Alto, Santa Clara and most recently, Oakland. And as for advice to aspiring entrepreneurs, Hosseini said if you have a good idea, a support system and you feel ready to "just go for it!" It might just have a big payoff. "My day to day now is very different than when I started this company," Hosseini said. Rebecca Greenway covers news on the San Francisco Peninsula. Connect with her on Facebook or send an email to rebecca.greenway@nbcuni.com.